When it comes to wanting the best mobile phones, it’s not always easy getting these through major telephone companies, however now you it’s easier than it will ever be with Phones 4 bad credit with our mobile contracts for bad credit. When you hear the words mobile contracts for bad credit, it can seem a bit demeaning, however it’s the best words you’ll want to here when it comes to searching for a new mobile phone. For those who have bad credit or a poor credit score, it can be hard when it comes to purchasing most things on finance or through a monthly or weekly payment instalments. When it comes to purchasing a new mobile phone on contract, there is nothing worse than going through the process of going in shop to be turned down. Here at Phones 4 Bad credit, our team can promise you that every phone we have to offer can be yours with no catch. No catch? Sounds too good to be true and let’s be honest, it’s good and it is true, this is due to our no credit check eligibility checker. What we do is find the best contract to suit every one of our users and make sure that everyone is getting the best price of a contract. 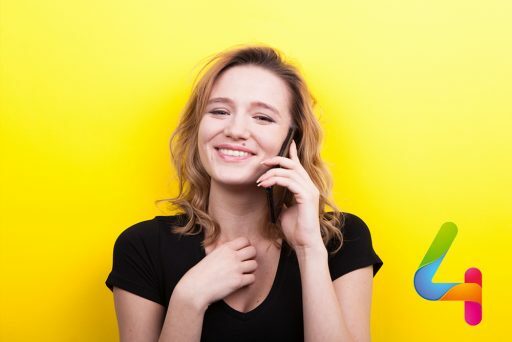 When it comes to getting a brand-new mobile contract for bad credit, our guarantee to every user is they can walk away satisfied with the best possible customer service. When it comes to applying through Phones 4 Bad Credit, all it takes is 3 easy steps! First step is finding your dream phone, this may be the hardest step out of all of them. Second Step is applying through the eligibility checker and entering in some simple details, nice and easy right? Third Step is choosing the perfect contract we have chosen for you in order to get the best out of your mobile contract for bad credit. After all these steps, you’re good to go, now all you have to do is wait to receive your brand-new phone through Phones 4 Bad Credit! It’s an offer you can’t refuse right? You’re only a few steps away!